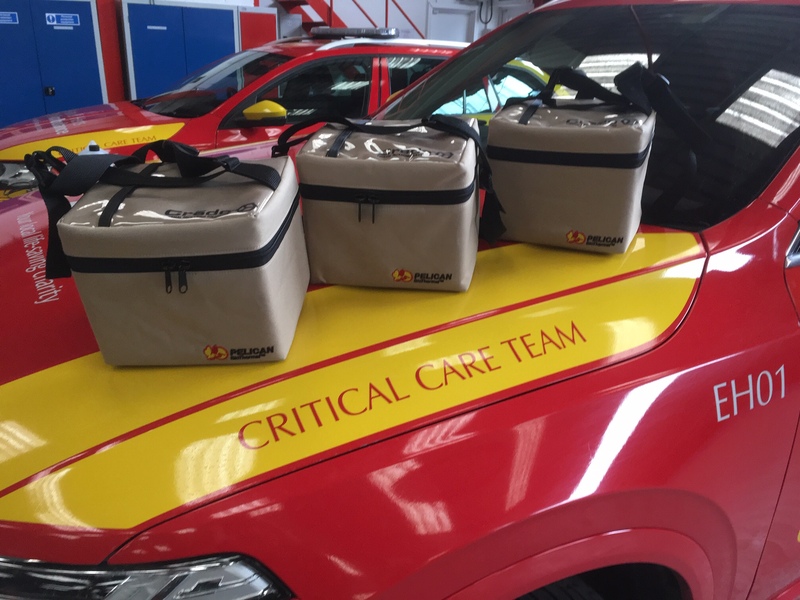 Essex & Herts Air Ambulance (EHAAT) has used blood products to help care for a critically injured patient for the first time. On April 12th a Critical Care Team from the Charity was tasked to attend a male patient involved in an accident. The patient required a pre-hospital blood transfusion to stabilise them before they were transferred to The Royal London Hospital’s Major Trauma Centre. This is the first time since EHAAT began carrying blood supplies on board its helicopters and Rapid Response Vehicles (RRVs) last month that they have been used on a patient. Being able to give a pre-hospital transfusion at the scene of an incident could be a life-saving intervention for patients suffering significant bleeding and blood loss. It reduces the time lost in having to take a patient to a hospital to receive blood. Patients who have suffered blood loss were previously given a saline solution, which doesn’t carry oxygen or help with clotting of injuries. EHAAT’s helicopters and RRVs carry packed red blood cells of blood group O Negative, meaning they can be used on any patient. When required, this can be given with plasma, the other major component of human blood. Together these form an effective replacement for patients who have lost blood. The packed red blood cells are supplied daily from The Princess Alexandra Hospital in Harlow and delivered to EHAAT’s Airbases at Earls Colne and North Weald by riders from Essex Voluntary Blood Service (EVBS). The blood is replaced daily and replenished as required.